The Manchester View provides magnificent views of the surrounding countryside and mountains as well as a location convenient to shops and local attractions. A welcome oasis away from large crowds, Kimpton Taconic Hotel rises to the occasion with a variety of guestrooms tailor-made for romantic getaways, with beautiful mountain or courtyard views. Hampton Inn & Suites by Hilton in Manchester offers standard rooms and studio suites right in the heart of town and convenient to everything. 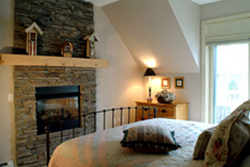 You're going to need somewhere to put all those bags when you're done shopping - check out some of our favorite places to stay in the Manchester, Vermont area. 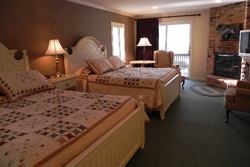 Explore a variety of Manchester lodging accommodations in the Green Mountains of southwestern Vermont, whether you need a small room for just one night at a Manchester hotel, or many rooms for an extended stay at a Manchester resort. 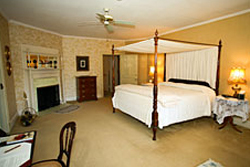 One of Vermontï¿½s premier boutique hotels with luxury accommodations and warm hospitality. The Manchester View sits high up on a hill off historic Route 7A just two miles south of Dorset and minutes from some of Southern Vermont's best skiing. 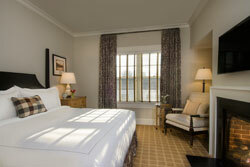 Enjoy home-away-from-home style accommodations with our many Stratton hotels and condo rentals. Hampton Inn & Suites by Hilton Manchester offers standard rooms and studio suites right in the heart of Manchester. Walk to shops and dining. Close to Stratton and Bromley for skiing. A year-round AAA-Four Diamond destination nestled amongst the tranquil backdrop of Manchester Village, offering an array of accommodations and activities. High on the crest of a hill overlooking the Battenkill valley, everything about this inn is superlative: fabulous location, ambiance and architecture. 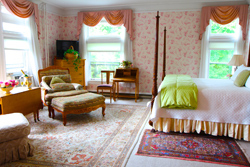 An elegant Victorian Bennington, VT Bed and Breakfast located only a block from the center of town. 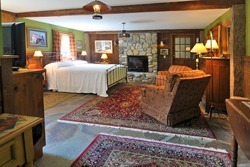 Offering all the charm and hospitality you would expect from a Vermont country inn. Come discover why Vermont is a top vacation destination at any season. Manchester is an historic town located at the foot of Mount Equinox along Route 7 offering a unique blend of New England charm, style, arts & culture, and is a popular four-season tourist destination for Vermont vacations. Whether you're looking for some family fun or planning a Vermont vacation, Vermont.com can help you find something for everyone. Don't forget to check our calendar of events for suggestions to plan your Vermont vacation in the Manchester area. We know you're going to get hungry during your stay - check out some of the great restaurants in the Manchester area! From lodging specials to Festival packages and more, find the best deals on vacation packages in Southern Vermont. The southwestern corner of Vermont is known for it's great outlet stores and Manchester will be the highlight of your shopping vacation in Vermont.